With so many models of attendance machines available a comparison is required which can help us in choosing the best model of time and attendance machine. We have created a comparison table which help in understanding the various available models of Time and Attendance Machines and their specifications. We believe this comparison sheet will help in better choosing the time and attendance machine. 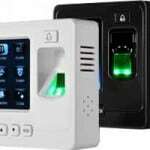 Attendance Machines can be compared on the bases of Users capacity, transaction storage, support of card/RFID module, battery back up, access control system, communication. 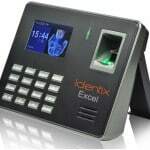 Following is the comparison of various face recognition based time attendance machines of eSSL Identix. 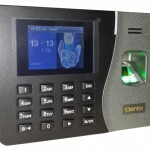 It shows the number of faces a machine support, number of fingerprints or support of fingerprint. Transaction count capacity. 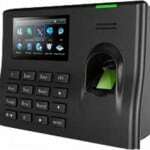 These machines are best suitable for small to medium enterprises which have less number of employees and still want to use face attendance machines in their organization for employees attendance. Note: All devices have 2.8’’ color TFT. If you still have query do call us at 9818390836, 9035757673 or email us at info@ampletrails.com. One of our expert will get in touch with you. 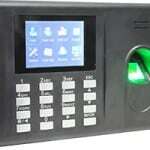 You can also fill the following form to get in touch with one of our time and attendance machines expert.